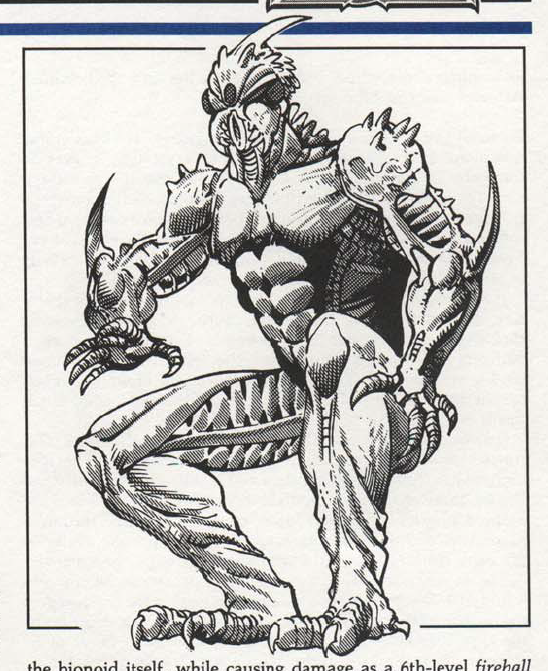 Here is the oft-mentioned Elven Guyver, “The Bionoid” from AD&D 2nd Edition game setting Spelljammer. Created by Newton Ewell, as pretty much all the anime influenced Spelljammer monsters were. Though oddly not drawn by him.